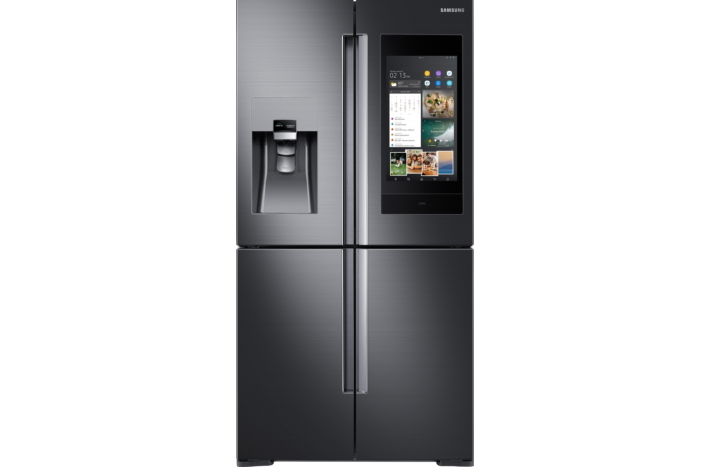 Samsung Electronics today unveiled the next generation of its award-winning Family Hub refrigerator, continuing to pioneer and redefine the refrigerator category. A winner of the 2018 CES Best of Innovation award, Family Hub sets a new standard for connected living. The new Family Hub will be on display at the International Consumer Electronics Show (CES) from January 9-12, 2018. Family Hub in 2018 offers a wide range of smart features that allow consumers to do what they could not do before. These include syncing up food storage with meal preparation, keeping family members better connected and organized, and providing enhanced entertainment. Family Hub is also more intuitive and intelligent with the addition of Bixby voice control and its integration with Samsung’s SmartThings IoT ecosystem. The new Family Hub works with the SmartThings ecosystem, allowing users to control and monitor their connected home from the Family Hub screen. The SmartThings app seamlessly connects the Family Hub with hundreds of Samsung and third party compatible connected devices. So now, in addition to seeing what’s inside their fridge from the grocery store or leaving a note on the White Board to remind the kids to clean their rooms after school, users can do countless other things without ever leaving the kitchen. These include seeing who is at the front door with the ring doorbell, adjusting the thermostat, checking on a sleeping baby in the next room, and more, right from the refrigerator screen. Family Hub helps consumers manage food, with the View Inside app that enables users to see inside the fridge from anywhere. New for 2018, Meal Planner takes food management to a more personalized level by providing recipes for the family based on food preferences, dietary restrictions and food expirations dates. Family Hub also saves time and money with a new Deals app that gives users the ability to find great bargains and save them directly to the Shopping List or loyalty card. The new Family Hub keeps the family more closely connected and organized, with the customized ability to share calendars, photos and notes. With Bixby, Family Hub can also recognize individual voices and provide personalized information based on preferences. Ask “Hi Bixby, what’s new today?” and it will provide a read out of the news, weather and calendar updates specifically tailored to the user. With innovative TV and music options, the original Family Hub transformed the kitchen into an area for socializing with family and friends. Users can access millions of songs through various music streaming platforms and live radio apps, and mirror their Samsung Smart TV1. The new Family Hub also features AKG Premium Quality Sound Speaker for sound that is deep in bass and rich in mid-range2. 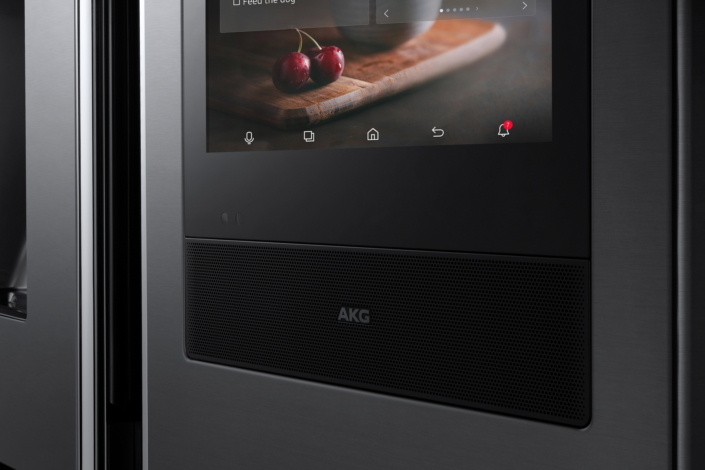 Additionally, users can now stream content from their smartphone to the Family Hub refrigerator. Samsung will expand the platform to four new 4D FDR models, bringing the total to 14. This will ensure that there is a Family Hub configuration to meet the needs of all consumers. The new Family Hub will be available this spring. For more information about Samsung Home Appliances, please visit http://www.samsung.com.